James Isaac Elliott joined the Belmont faculty in 1990 teaching Music Publishing. When the Songwriting Department was launched in 2007 he was named Chair. Elliott worked closely with industry partners to develop the curriculum and hire award-winning songwriters to teach the classes. The success of the major has led to partnerships with Sony/ATV Music Publishing, The Nashville Songwriters Hall of Fame and Martin Guitars. Professor Elliott has also developed and taught on study abroad trips to Australia, England, Ireland, Northern Ireland and Scotland. Also an award-winning songwriter, Elliott’s compositions have been recorded by Steven Curtis Chapman, The Oak Ridge Boys, Newsong, Shenandoah, Ginny Owens, Mark Schultz Russ Lee, Kenny and Amanda Smith, Gold City, Larry Stephenson, Laruen Talley, The Blackwood Brothers, Triona and others. His honors include a Dove Award and multiple awards from ASCAP, American Songwriter Magazine and the Nashville Songwriters Association International. Elliott’s songs have been included on 5 Grammy Award winning albums. He’s co-written 13 Top Ten radio singles and 6 number ones including “The Change,” “Hold On To Jesus” and “His Eyes” by Steven Curtis Chapman. Before joining the Belmont Faculty Elliott was a writer/producer for several shows on the cable television channel, TNN (The Nashville Network). He interviewed and produced stories on Willie Nelson, Merle Haggard, Robert Duvall, Emmylou Harris, Alan Jackson, Shania Twain, Garth Brooks, Kris Kristofferson, Garth Brooks, Vince Gill, Trisha Yearwood, Bill Monroe, Jimmy Martin, Larry Sparks, Little Jimmy Dickens, Roy Acuff, George Jones, Waylon Jennings, Faron Young, Loretta Lynn, Owen Bradley, Amy Grant, Mike Curb and others. Elliott’s career in the music business also included stints as road manger, stage manager and merchandise manager for several artists including Michael Martin Murphy, POCO and The Joe English Band. Sparrow Records signed Elliott as a staff songwriter for their Birdwing Music division (Captiol CMG). Elliott is co-author of the book God’s Neighborhood, with Scott Roley. Drew Ramsey grew up in Knoxville, Tennessee playing and singing rock, soul, gospel, and country music. Anywhere and any time music was being played or recorded, he put himself right in the middle. 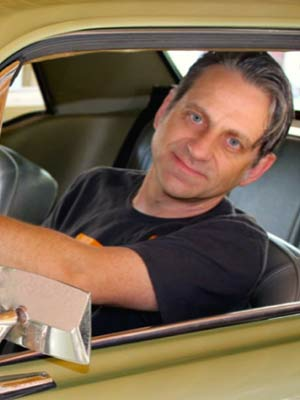 After studying Architecture and Music and graduating from the University of Tennessee, he moved to Nashville and set up shop as a writer, producer, and musician. Keeping the approach of being anywhere good music was happening, opportunities soon arose. Since then, Drew has collaborated with, and had songs recorded by artists like India.Arie, John Legend, Heather Headley, Jonny Lang, Robert Randolph, The Temptations, Marc Broussard, Trombone Shorty, Leela James, CeCe Winans, Eric Benet, Danny Gokey and International artists such as Mivayi, Count Basic, Asa and Debi Nova. He has received two Grammy awards and six nominations, one Dove Award, and two Emmys. 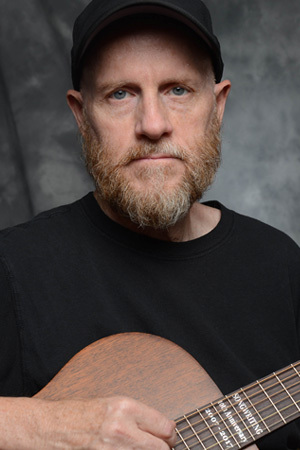 His songs have appeared in movies such as We Were Soldiers, The Game Plan, Shark Tale, Brown Sugar, and television shows such as The Voice, American Idol, So You Think You Can Dance, Grey’s Anatomy, Dancing With The Stars, Brothers and Sisters, The Fosters, sports events on ESPN, NFL, NHL and more. While still working as a writer with BMG, Drew is now a faculty member of Belmont University’s Songwriting Department, whose graduates have now received their own major record deals, publishing deals, and Dove and Grammy awards and nominations. Two-time GRAMMY® nominee Cindy Morgan has garnered 13 Dove Awards, including the prestigious Songwriter of the Year trophy. With 21 #1 radio hits to her credit in addition to her own iconic discography, she has penned songs for such artists as India Arie, Rascal Flatts, Vince Gill, Amy Grant, David Archuletta, Kris Allen, Gabe Dixon, Glen Campbell, Natalie Grant, Mandisa and many others. As half of the acclaimed pop duo St. Lola in the Fields, her songs have been featured in One Tree Hill, Drop Dead Diva and Santa Baby, with many other syncs in both film and television. Cindy has a song in the new Alec Baldwin film called BLIND, featuring iconic actor Robert Redford singing "Bird in a Cage," in his debut on-screen vocal performance. 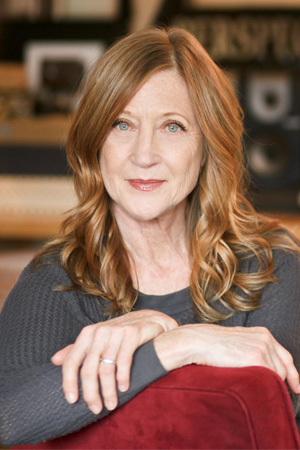 From her recent single “Damn Drunk” with Ronnie Dunn to her classic Reba McEntire songs, Liz Hengber has been writing hits in Nashville for over 20 years. She has earned 6 #1’s and had over 65 songs recorded by Artists in Country, Pop and Bluegrass. In her days writing for Starstruck Writers Group she penned songs for Reba McEntire that are now standards in Country music. “And Still,” “Forever Love”, “Its Your Call,” and “For My Broken Heart” all reached number one, re-appearing on Reba’s Greatest Hits CDs and Box sets. This year, Liz was also blessed to have a song recorded by country legend, Sara Evans. 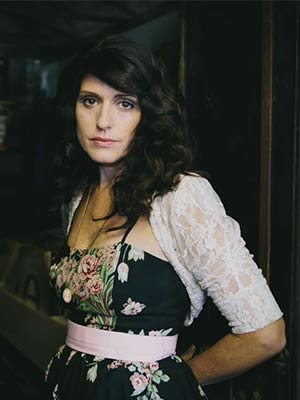 The New CD entitled “Words,” is an album dominated by Nashville’s best female writers. “To be among these 14 talented female writers is a complete honor.” Some of the many artists that have recorded Liz Hengber songs include Reba McEntire, Ronnie Dunn, Kix Brooks, Easton Corbin, James Otto, Vince Gill, Trace Adkins, Trisha Yearwood, Bucky Covington, Peter Cetera, Susie Boguss, Julie Roberts, Trick Pony, Lila McCAnn, Linda Davis, Stevenson Evertt, Andy Griggs, Lee Greenwood, Lisa Brokop, Tent Willmon, The Steel DRIVERS, South 65, Clay Davidson, Little Texas, Deana Carter, The Isaacs and Conway Twitty. Now part of the thriving Pop and Alternative wave in Nashville, Gabe Simon began his career writing for and fronting the critically acclaimed indie-rock band Kopecky (f.k.a. Kopecky Family Band). Simon is currently releasing music under his alter ego Mr Gabriel, which includes work with Jai Wolf, Mark Pontius of Foster the People, NGHTMRE and other collaborations. 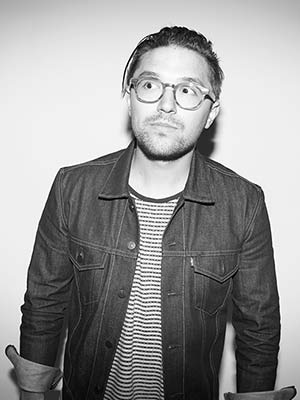 With a background in Rock, Pop, Alternative, Soul and RnB, Simon has written and produced for artist in Nashville, Miami and Los Angeles such as: Dua Lipa, Jai Wolf, Cherub, Vinyl Theatre, Tamia, Coin, Adam Lambert, Axel Muniz, Luis Figueroia, NGHTMRE, American Authors, Morgxn, The Shadowboxers, Mat Kearney, and Striking Matches. Born in Long Island City, New York, Pat Alger was raised in his mother’s hometown, LaGrange, Georgia. In the mid 1960’s, to earn money to pay his tuition at Georgia Tech, Pat began performing in Atlanta’s acoustic music clubs – The Twelfth Gate, the Bottom of the Barrel, The Bistro & The Great Southeast Music Hall – intimate places where the music was the main attraction. “It was a great time in Atlanta to be starting a career in the music business.” Alger recalled recently. 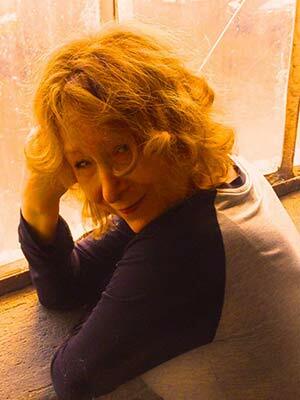 After becoming an established performer around the southeast, Pat migrated to Woodstock, NY in 1973 - the home of Bob Dylan and the Band - and quickly became part of that legendary musical landscape, eventually recording three albums with the Woodstock Mountains Revue for Rounder Records. In 1978 Pat moved to Manhattan to concentrate on songwriting and in 1979 he formed a Duo with renowned guitarist Artie Traum, recording a well-received album of original material for Rounder Records. One of his songs from that album - “First Time Love” – was recorded by Livingston Taylor and became a top-40 pop hit in 1980 - going on to reach #13 on the AC charts. That momentum took him to the ‘Promised Land’ for songwriters - Nashville, TN. Early on, mainstream country artists Mickey Gilley, George Hamilton IV and Dolly Parton recorded his songs as well as legendary pop artists Brenda Lee, The Everly Brothers, Peter, Paul & Mary and Livingston & James Taylor. In 1987 he had his first #1 hit with “Goin’ Gone” by Kathy Mattea. A long string of country hits followed including “Small Town Saturday Night’ for Hal Ketchum, “Like We Never Had A Broken Heart” for Trisha Yearwood & “True Love” for Don Williams. He co-wrote 4 number one songs: “The Thunder Rolls”, “Unanswered Prayers”, “What She’s Doing Now” & “That Summer” with Garth Brooks which have sold over 60 million copies. Pat was elected Songwriter of the Year for the Nashville Songwriters Association International in 1991 & ASCAP’s Songwriter of the Year in 1992. In 2010 he was inducted into The Nashville Songwriters Hall of Fame and in 2013 he became a member of the Georgia Music Hall of Fame. 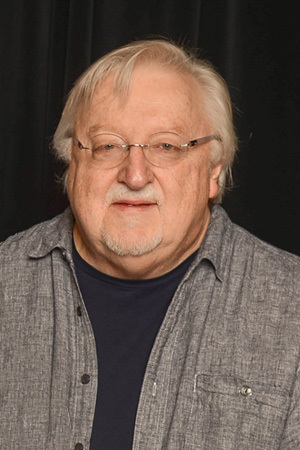 He is currently the Chairman of the Nashville Songwriters Foundation and just finished his second year as a consultant in songwriting in the Belmont University Songwriting Degree program, teaching a master class in lyric writing. This year so far / Pat had two songs on the 2017 Grammy-winning Bluegrass album “Coming Home” by The Mark O’Connor Family Band – as well as three songs, including the title cut, of legendary singer/songwriter Tom Paxton’s latest CD project: “Boat In the Water”. In February, Pat shared the stage in Las Vegas with superstar Garth Brooks and continues to perform all over the country including most recently in New York City and New Orleans. 3 solo albums - True Love and Other Short Stories & Seeds on Sugar Hill Records plus Notes and Grace Notes on Liberty (Capitol) Records. 26 ASCAP performance awards as a writer / publisher. 1984-1992 - Chosen as the opening act for The Everly Brothers World Tour – their first since their breakup in the seventies. Thet record his song Takin’ My Time on their reunion album: EB-84. 2004 - Produced and performed on A Songwriter’s Tribute to George Strait for Compadre Records. 2005 - Unanswered Prayers voted # 6 in Country Music Television’s top 100 Love Songs contest and the song was made into a Lifetime Network TV movie. Judy Stakee is leading the new age of music. An author, speaker and advisor, Judy encourages artists and songwriters to define their perspective and share a powerful creative message. With over 30 years of experience as an executive in the music industry, Judy advises creative minds at speaking engagements and conferences around the world. Her innovative methodology, shaped by experience as Senior VP of Creative at Warner Chappell Music for 20 years, is being adapted into the music curriculums of renowned music institutions in the US and beyond. Judy has an eye for talent. She is responsible for signing, coaching, and inspiring many of today’s most acclaimed award-winning artists, including Grammy-award winner Sheryl Crow, Katy Perry, Joy Williams, and For King & Country. Since founding The Judy Stakee Company, she has been developing new talent including Raelynn (WB Records Nashville), authored The Indie Excellence Book Award for Music 2015; The Songwriter’s Survival Guide, produces the songwriter interview series Door To Door and is an Adjunct Professor at Belmont Music College, Nashville, Tennessee. She has also created and inspired songwriting workshops worldwide, named appropriately “It All Starts With A Song” where she takes the writer through a process that helps build their own creative process to develop themselves and their songs. In May of 2017, Judy gave a Tedx Talk in Paris, France. One of eleven speakers on the subject of One Life, Judy delivered a passionate speech on the benefits of teaching children at an early age the skill of songwriting. 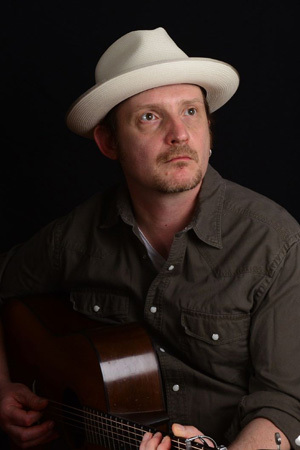 Thomm Jutz is an award winning songwriter, guitar player and producer. His songs have been recorded by John Prine, Nanci Griffith, Andrea Zonn, Balsam Range, Kim Richey and many other artists. He has had the top two most played songs on Bluegrass Radio in 2016 and was nominated for four IBMA Awards in 2017, including Songwriter of the Year and Song of the Year. Over 100 of his songs have been placed TV shows and movies world wide. He owns and runs his recording studio TJ Tunes. His solo record “Crazy If You Let It’ was released to critical acclaim in October 2017.